Updated single family Victorian home on corner double lot with Charleston style veranda. Original maple floors, original and custom woodwork, formal dining, parlor and living room. 5 bedrooms, 2 full baths and study. New kitchen includes granite and stainless steel appliances. Updated plumbing and electrial. New siding, new windows exterior and interior doors. I was searching for a Property and found this listing (MLS #5021815). I would like to schedule a showing for 783 E Rose Avenue Saint Paul, MN 55106. Thank you! I was searching for a Property and found this listing (MLS #5021815). 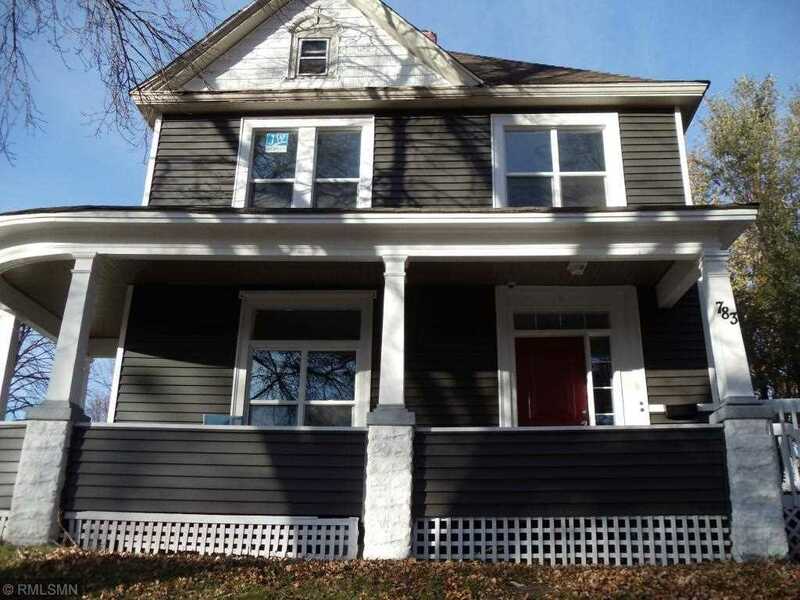 Please send me more information regarding 783 E Rose Avenue Saint Paul, MN 55106. Thank you! Listing provided courtesy of J3 Realty Group. MLS # 5021815: This property at 783 E Rose Avenue, Saint Paul, MN 55106 is located in the Payne-Phalen subdivision and is listed for $235,000. MLS # 5021815 has been on the market for 166 days.